In our last article, Welding Techniques – Part 1 of 2, we discussed two types of welding: Stick and MIG. These are two of the four most popular welding techniques used today. As promised, here in Welding Techniques – Part 2 of 2 we will talk about the other two techniques: TIG and Flux Core Arc welding. TIG welding, also known as Gas Tungsten Arc Welding is a form of arc welding that uses a non-consumable tungsten electrode in conjunction with an inert shielding gas. The gas (helium or argon) is used to protect the weld from airborne contaminants. TIG welding was developed in the aircraft industry and patented in 1941. TIG welding is used to weld thin non ferrous metals such as stainless steel, magnesium, and copper. While slower than some of the other types of welding TIG welding produces a stronger weld and gives the user more precise control of their work. 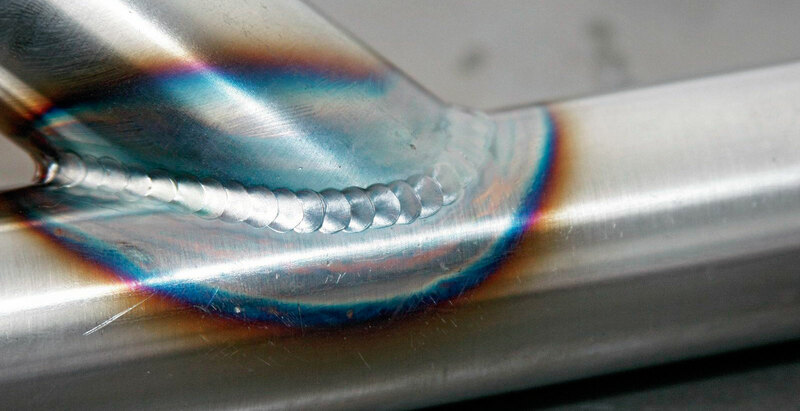 Tig welding, being a more precise type of welding, requires practice and patience before it can be mastered. Flux Core Arc Welding- otherwise known as FCAW or FCA is a semi-automatic or automatic welding technique. Flux core arc welding was developed in the 1950s as an alternative to shielded metal arc welding. FCAW uses a tubular flux filled wire instead of a shielded gas. Added to the flux are chemicals that when heated produce a gas to protect the weld. This type of welding is very similar to MIG welding as it uses a continuous wire feed during welding. The main difference between the two types of welding is that MIG welding uses a shielded gas, and FCAW does not need a shielded gas to protect the weld from contaminants in the air. Flux Core Arc Welding is versatile and fast and can produce up to 5 times more welds per hour than MIG welding. This type of welding was patented in 1959, and to this day is very popular for non-critical welds. Dolfab’s welders are well versed in the techniques necessary for custom metal fabrication in all manner of applications: t-top construction, fuel tank construction, fuel tank repair, RV repair, yacht refits, and even delicate staircase railings.